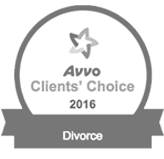 Modifying Child Custody » What Are The Grounds For Modification in Texas? Child custody cases in Texas can be contentious and frustrating for many families. However, sometimes parents can agree to terms of custody and visitation, which Texas law encourages (Texas Family Code § 153.007). In other words, the court recognizes that parents may be able to stick to a visitation schedule more easily when they develop it themselves with their child’s specific interests and needs in mind. However, there are many situations in which one or both parents want to modify a child custody order after the divorce has been finalized. In some cases, the parents want to modify a parenting plan for which they developed the term and the court found to be in the best interests of the child. It may be easier to modify such a parenting plan that deals with child custody and visitation. 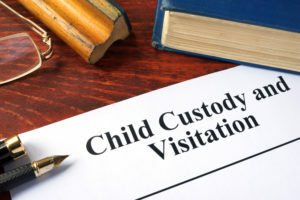 Yet in many situations, the parents could not come to an amicable agreement and one of them ultimately wants to—or needs to—modify the child custody terms in the court order. How does modification of child custody in Texas work? And what do parents need to know who either want to modify child custody or who want to prevent the other parent from modifying an existing order? 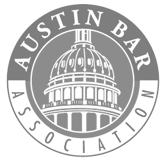 To better understand the ways in which child custody can be modified (or not) in Texas, it is important for parents to understand the legal terminology that is used to discuss child custody in the state. Many states use the terms child custody and visitation when referring to the parents’ rights to make important decisions about the child’s upbringing and to spend time with the child on a regular basis. Other states use terms like parental responsibilities and parenting time. In Texas, child custody is known as conservatorship. Generally speaking, we think about custodial and noncustodial parents. Custodial parents are those that may have sole legal custody while sharing physical custody with the other parent, or at least are the parent with whom the child resides for purposes of a school address and school district. Under the Texas Family Code, a custodial parent is discussed as a managing conservator while the noncustodial parent is discussed as a possessory conservator when the parents share visitation or parenting time. When it comes to visitation and parenting time, it is also important to recognize that the court does not use these terms. Instead, visitation is known as possession and access under Texas law. Child custody modification Texas is often quite difficult when the parents do not have an agreed-upon parenting plan. As we mentioned above, when parents have developed an agreed-upon parenting plan and the court determines that the terms are in the child’s best interest, that parenting plan can have provisions for modifying conservatorship and possession. 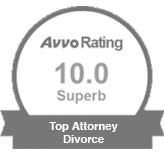 However, when there is no parenting plan with provisions for modifying conservatorship and possession, the process of child custody modification tends to be complicated. Managing conservator or possessory conservator has voluntarily relinquished child custody or visitation duties and responsibilities. In addition, no matter what, the modification must be in the child’s best interest. What is a Material and Substantial Change in Circumstances? One of the parents commits a crime that makes that parent unable to provide adequate parental care for the child. When a parent is seeking a modification because the child is at least 12 and wants the modification, the process is easier, and a Texas child custody lawyer can help. Any parent who wants to modify a child custody order should learn more about Texas child support modification forms. When parents want to make a modification to an existing child custody order, the parent seeking the modification must file a petition. There are forms for agreed modification and for a default modification. Seeking to modify a child custody order can be extremely complicated, and you should always seek help from an experienced Texas child custody attorney. We can explain what you will need to do in order to petition for a modification and to have the court approve a modification to an existing custody order. If you need assistance seeking modification of child custody in Texas, a Texas child custody attorney can help you. Contact the Law Office of Ben Carrasco PLLC today to get started on your case.